So your steak is perfectly cooked – slightly pink and tender in the middle, charcoal grilled on the outside, and you’re looking for that extra something. 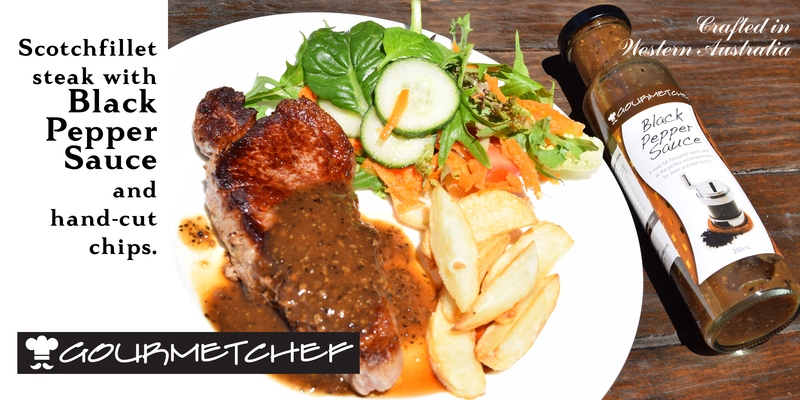 Why not try our Black Pepper Sauce? Chock full of pepper – both cracked black and white, with extra beefy flavours and hints of oyster and soy, our Black Pepper Sauce has the perfect balance to round off your steak experience. Available at Spudshed, Gilbert’s Fresh, Drovers Pastoral Company and select IGA and Farmer Jacks stores in Western Australia. Phone us for your nearest stockist.